The Devon Country Fair is all about traditions! 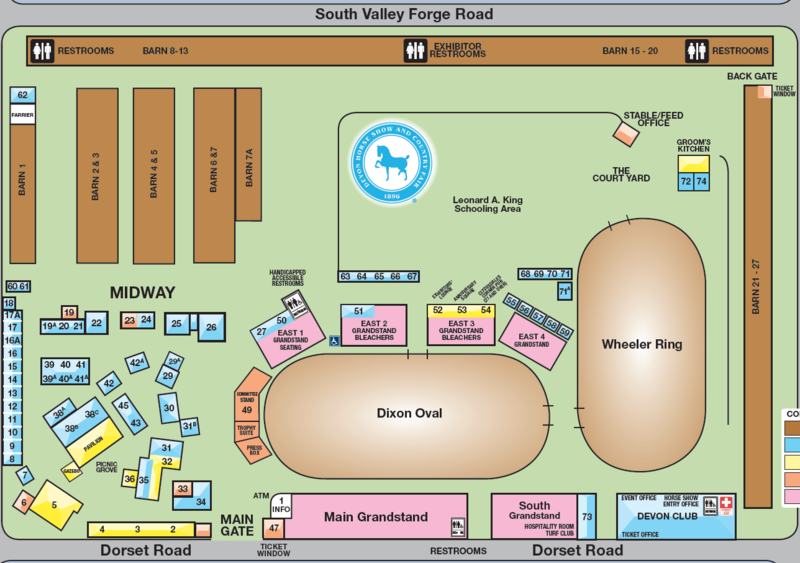 As the philanthropic arm of the Devon Horse Show and Country Fair this committee has over 100 Chairmen and 2,000 volunteers who come together each year to plan and staff food and other booths. It’s quite an undertaking! Country Fair traditions are many including; yummy lemon sticks, lots of fun candy and the iconic Devon fudge. The annual souvenir pin is another fun tradition, many collect the pins and add to their lanyards. 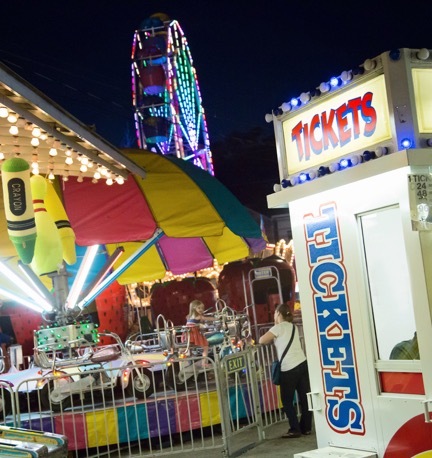 Most of all, the Country Fair is a tradition of so many coming together as a community whether it is to scoop ice cream or sell Derby chances. Let’s not forget another Devon tradition: the unpredictable weather! Indeed the Country Fair has something for everyone. We are always looking for new volunteers so if you want to join in and make Devon your tradition, join us at the Volunteer Appreciation Party on Sunday, April 29th on the Horse Show Grounds beginning at 4:00 p.m. or click here to sign up to volunteer. You may also e-mail us at volunteer@devonhorseshow.org. All proceeds from the Devon Country Fair are donated to Bryn Mawr Hospital, another long standing and honored tradition. Bohemian Pink 21 A charming collection of bright and colorful items for women and children. Devon Kids/Future Champions 35 Official location for all Devon merchandise for the younger horse enthusiasts and ponies! Devon Souvenirs 34 The Official souvenir shop of the Devon Horse Show & Country Fair, apparel, accessories, home and horse. Exhibitors’ Lounge 72 Relax, cool off, refuel and recharge. Wristband required. Fab Finds by Sarah 27 Fashion forward ready to wear boutique. Hand selected clothing providing chic and classy pieces with a little bit of rock and roll edge. Jean Forte Vintage Gifts 17 Vintage home goods, silver, crystal, pressed glass and china. Vintage jewelry. Jennifer on the Avenue 50 Fabulous, Affordable, New York Style Boutique…Jennifer personally helps dress you. Kashmir Moon NY 45 Handmade oriental rugs, bedspreads, pillow cases, wall hangings, hand embroidered jackets, shawls. pucciManuli 16A Remarkable collection of high quality toys, games and gifts for children of all ages. Smathers & Branson 11 Everything needlepoint: belts for men, women and kids, key fobs, cummerbunds, and coin purses. Snug Pups 55 All coats are designed and hand made in Pennsylvania, USA with a custom fit that will snug your pup perfectly! SUZANNE DESIGNS 8 Fashion jewelry, handbags, scarves, small leather goods and unique monogrammed items. Turner & Co. 10 Carefully curated women’s designer denim and ready to wear items from Jbrand, Hudson, Splendid, Ella Moss, Autumn Cashmere and more. Tuyet Distinctive Jewelry 13 Wide variety of handcrafted jewelry for all occasions and tastes. Un Pueblo 42 Handmade pine needle baskets with nickel trim and hand crafted metalware. Woven totes. Catering By Design, Philadelphia’s premiere catering service will be at the Garden Café! In addition to traditional favorites there are new and exciting menu selections, including rotating daily specials and boxed lunches/dinners to-go! The Garden Café offers freshly made salads, soups and other entree choices each day. Guests check out the daily menu and then enter to go through the self-serve line to select their lunch or dinner. The Pavilion is reserved for guests of the Garden Café and it’s the perfect place to relax and enjoy the people watching! Wine is also available in the gazebo which makes dinner even more special. The Devon Tea Cart is celebrating its 100th anniversary this year. While the silver tea service is long gone, tea sandwiches and specialty baked goods remain very popular. Tea Cart opens at 7 a.m. daily several breakfast options including quiche (new this year). Of course, the iced tea with fresh mint sprigs is a staple. Though we are not really sure how this name came about, Devon does offer food options for everyone. The hamburger booth is known for the classic Devon Special (a burger and fries combo) as well as grilled chicken sandwiches and pizza. Many opt for the made to order fresh salads or wraps at the Salad booth but most everyone stops by the ice cream booth for a big scoop of Bassett’s ice cream (mint chocolate chip is the #1 seller). The picnic grove in front of the Pavilion provides a nice shaded area with plenty of room to sit ad enjoy your food. The Devon Souvenir booth is nothing less than amazing, in fact, it takes several times there to see everything that is offered. As with all booths, Souvenirs is run by volunteers who scour gift shows and apparel retailers all year looking for the newest trends and time honored classics. Traditional baseball caps, sweatshirts and other logoed apparel fly off the shelves. The booth also has expanded into a large selection of home and giftware. Check out the Souvenir On-line Store for merchandise year round. 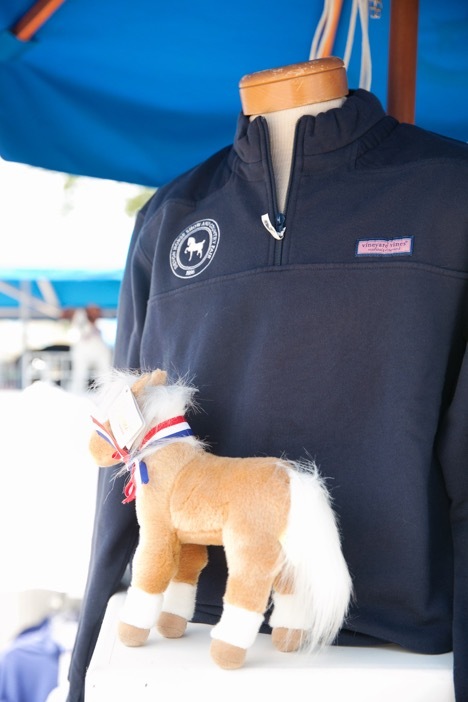 The younger set will love the Devon Kids/Future Champions store with everything from plush to gear for the young horse enthusiast. Since its beginning in 1999, the Art Gallery has displayed and sold beautiful pieces from paintings to sculptures. 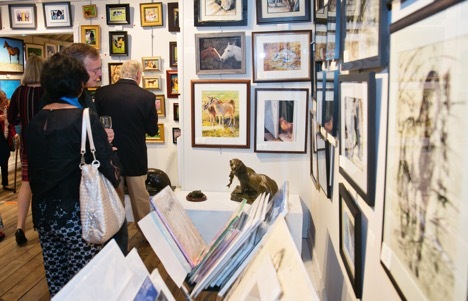 What many don’t realize it that this is a juried art show which includes over 500 exhibits each year. The night before Devon’s official opening, the Art Gallery hosts First Night at Devon, an elegant event for guests to preview and purchase art prior to the opening. This year’s event will be held, Wednesday, May 22nd, for more information, please click here. More Devon traditions! From the Ferris wheel to the spinning strawberries and the duck pond for the little ones, Devon’s midway is all about fun. There is also plenty of carnival food such as funnel cakes and fried Oreos to keep the adults happy while waiting for the kids. The Midway is open every day from 10 a.m. (11 a.m. on the first Sunday) to the close of the show. The Information Booth is the place to go if you need information or assistance. The booth is staffed by long time volunteers who offer friendly assistance and directions. The daily schedule is also posted at Information so you can check on favorite events or classes. Lost and Found is also located in the Information Booth. Another Devon tradition – the Souvenir Program. It’s a fun way to watch events and make note of the winners. The Program is sold in front of the Information Booth as well as at the back gate and ticket office. Everyone loves a raffle and the Devon Derby is one of the best! For $2 a chance or $10.00 for 6 you have a chance to win 1 of 6 great prizes. This year, we are delighted to welcome Patriot Dealerships as the sponsor and donor of a 2 year lease on one of the hottest SUV’s on the road – a Buick Encore! Other great derby prizes include a Stitch Golf bag and club covers, Trek bicycle, Maui Jim sunglasses, Lisi Lerch earrings and Philadelphia Phillies tickets with dinner and parking. Don’t forget to buy a book of chances and come back Saturday, June 2nd to see if your name has been pulled as the big winner. We welcome you to join our tradition of volunteerism, community and dedication to the best Horse show in the country! We are proud to call Bryn Mawr Hospital our beneficiary and to continue our support of their modernization plan with a 5 year, $2 million pledge! Hope you enjoy the Fair!